Who can resist the sour, spicy, crunchy and mouthwatering chaat especially in monsoon? It is highly tempting to go out for a plate of masala puri or pani puri when it's raining! But, eating out during this season can be dangerous. 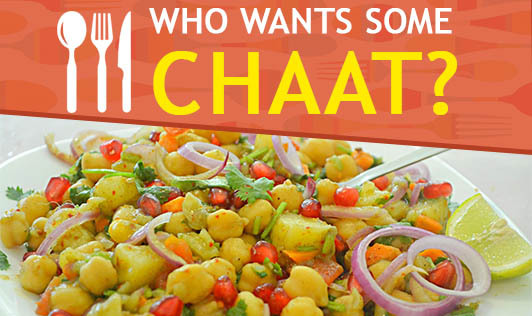 So, here are a few simple chaat recipes that you can make at home and enjoy guilt-free! • Cut onion and tomato into small pieces. Roughly chop coriander leaves. • Break khakhras into bite size pieces. • Mix onion, tomato, khakhra, salt, chilli powder and jaljeera. • Garnish with coriander leaves and serve. • Cook potato and sprouts in a pressure cooker for 3-4 whistles. Allow it to cool and remove lid. Peel the skin and mash potato. • Mix mashed potato, sprouts, onion, salt, chaat masala and chilli powder. Keep aside. • On a hot tava, toast bread till both sides turn golden brown. • Cut the toasted bread slices into 4 pieces. • Place a small portion of mashed potato mixture on the cut bread slices. • Spread puffed rice on top and serve. • Cook channa in a pressure cooker for 3 whistles. Allow it to cool and remove the lid. • Mix all the ingredients in a bowl and serve.